Mallya's request to meet Kohli came during a time when the London Court asked India to show the pictures of Arthur Road Jail in Mumbai. Vijay Mallya, the Indian business tycoon, hasn’t had the best of years. He has been absconding since March 2016 and is currently residing in London owing to the reason that he failed to repay Rs 9,000 crores to different banks. He was the owner of the Royal Challengers Bangalore (RCB) ever since the inception of the Indian Premier League (IPL) back in 2008. However, in 2016, he stepped down as the director of the franchise and Amrit Thomas was appointed as the new chairman. Mallya used to run United Spirits, which currently owns the RCB franchise in the T20 event. He brought the Challengers for a whopping $111.6 million in 2008. After his resignation, Siddarth Mallya, his son, ran the same before Thomas took over. Meanwhile, it has recently been learned that the colossus personality wanted to meet Virat Kohli and the Indian cricket team, who are currently in England for a five-match Test series. However, the Indian government has turned down his request as per reports in Business Today. The opening Test is currently taking place at Edgbaston in Birmingham. Mallya to be extradited to India? Coincidentally, Virat has been a part of RCB after he was drafted in 2008 courtesy of his impressive shows in the U19 World Cup in Malaysia. He scored a century against West Indies and also led his team to glory by beating South Africa in the final. In 2013, he took over the captaincy of RCB from former New Zealand all-round cricketer Daniel Vettori. 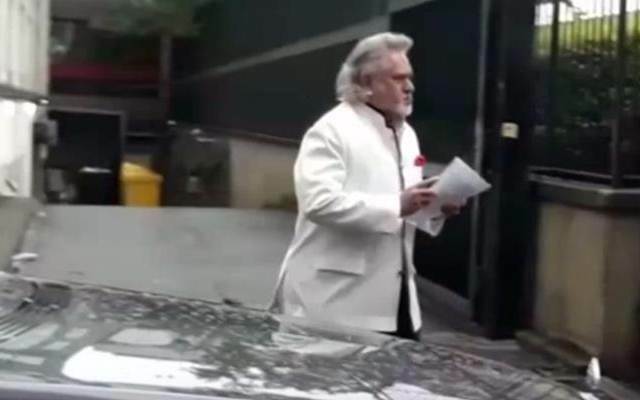 Mallya’s request to meet Kohli came during a time when the London Court asked India to show the pictures of Arthur Road Jail in Mumbai where Mallya is expected to be imprisoned. In the meantime, Mallya mentioned that he can’t return to India as the conditions of the jails in the country are appalling. The British courts have the responsibility to ensure that Mallya doesn’t face human rights violation.